#Reds want to hold catching prospect Tyler Stephenson out of a potential Sonny Gray deal. Now discussions center around 2B prospect Shed Long, a draft choice (sandwich pick) and a 2nd minor leaguer. There’s some optimism but no word it’s done yet. The good news: The Reds don’t seem to be willing to give up Tyler Stephenson in this deal. The bad news: Shed Long is still on the table. Why is that bad news? Well, let’s assume that since no one else on the Yankees side of the deal has been discussed, that the deal would only bring back Sonny Gray. He is making $7.5M in salary for the 2019 season. That’s cheap. And he’s worth more than that. Any value he provides beyond that is surplus value. But what is the projected surplus value for Sonny Gray? All of the projection systems aren’t out yet. The Marcels system pegs him at 137.0 innings with a 4.40 ERA. That would give him, roughly 1.0 WAR in the Baseball-Reference version. That means his surplus value would be about $1-1.5M for 2019. 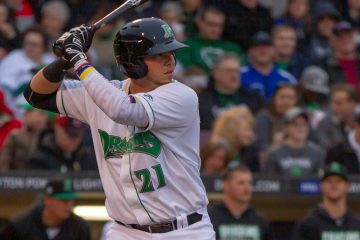 Fangraphs released a new valuation tool for prospects this winter based on how players who were rated as certain types of prospects wound up turning out. We’ll use that here and look at Shed Long. He was given a 50-grade prospect after the 2018 season by Fangraphs. That would give him a surplus value of $28M. Using this method, Shed Long straight up for Sonny Gray would be an absolute steal for the Yankees and one that would take the Reds to the cleaners in terms of value for value. Shed Long caliber prospects are far more valuable than the version of Sonny Gray that is expected by the projection systems. But what if the projection systems are wrong? That happens frequently enough. How good would Sonny Gray need to be in order to match the roughly $28M in surplus value for his one season? He’d basically need to be one of the 20 best pitchers in baseball, maybe a little bit close to top 15. Now, if you want to argue that surplus value in one year versus over the next 6 years isn’t a 1-for-1 thing, I’ll listen to that argument. It certainly holds some logical water. But even splitting it in half on Long, he’s still far more valuable than Sonny Gray is at that. When you then toss in your competitive balance draft pick, it starts to skew the math even more. The Reds can trade their 2019 competitive balance pick. Until free agency is over we don’t know exactly which pick it will be. But it will be the 3rd pick following the 1st round, falling somewhere in the 36-38th spot in the draft. The player selected there will probably be a grade 40 or 45 caliber prospect next year. The value of that can be anywhere from $1M-$8M in surplus value depending on the position or grade of the prospect. And then there’s also the part of the rumor that says the Reds would also possibly be adding another minor leaguer to the deal. We don’t know the caliber of that player, but it’s not someone of no value at all. Though it is probably minimal. It’s tough to look at a Shed Long, draft pick, and another prospect trade straight up for Sonny Gray as one that makes sense from a value standpoint. It’s a massive overpay based on everything that we know about player values. The Reds shouldn’t be trading value for someone they hope will improve. And that’s especially the case when to make the values even, the improvement has to be massive. If the prospect that the Reds trade in the deal isn’t in the Top 10, and they move another guy and the draft pick, things start to make a lot more sense. But that’s not what we are hearing at this point. You don’t think a guy that has put up 3-4 very strong seasons(numbers wise and pitching for Oakland, NY) in the MAJORS and only having to pay him 7.5m for, if he performs not like 2016 and 2018 but the other seasons, makes him the 2nd/3rd best starter we have is worth Shed Long? 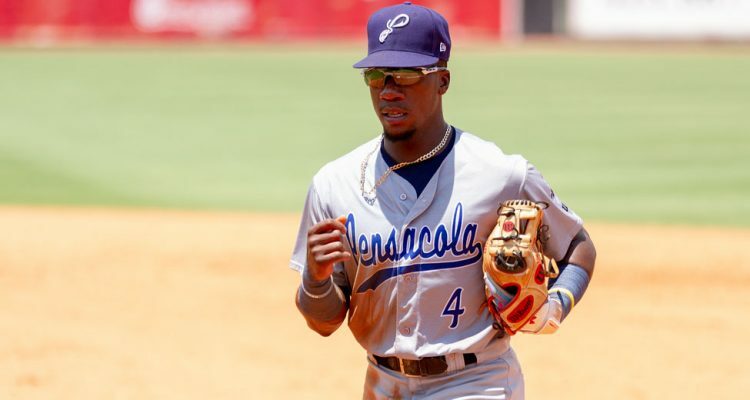 I mean I agree not worth 2 top 10 type prospects, but, at minimum Shed has Scooter and Senzel still ahead of him, and he’s never done anything yet other than being a prospect. Did you read the article? Because it’s pretty clear that I don’t think he’s worth that. And the numbers strongly back that up, too. I agree with the sentiment of the original comment in that you don’t really provide much analysis beyond surplus value or one projection, all while ignoring the track record of Gray. Couple that with the fact a number of teams other than the Reds seem heavily interested/bidding for his services and overall it seems like you’re overvaluing the value the Reds could be giving up while undervaluing a past ace making little money with no discernible injury history. Of course this is all debatable, which is what we’re literally doing, but most of the commenters on this board and you as well seem to be going against the grain regarding Gray’s value, especially when compared to what’s been reported from other front offices; to say nothing of the fact that our new, well-established coaching staff would seem to approve of pursuing this acquisition rather heavily. Please stay away from Sonny Gray. This wine a terrible trade. Massive overpay. Sign Miley if they think they need another SP. Sounds like Bob is involved and trying to go cheap again. Next we will hear he is putting team up for sale . 1. Veterans established value vs a prospects probability they never pan out. Reed and Bobsteve were both much more highly regarded than long and I can make a better argument that they cost the reds 28 million vs being worth that. There’s a really good chance long never has much of an mlb career and grays stats next season are better than longs career stats. 2. Team need. I prefer kuechel and Gonzales to grey and prob 4 other guys I value the same. But just keep it real- there’s a chance that none of those guys will even consider signing in cincy. Which in turns makes trades the only path to improvement. If that’s the case- then long for gray is for sure a win for reds. I don’t think I should even respond to this, but I will: Had the Reds traded Cody Reed or Robert Stephenson when they were at peak value, they would have gotten so much more value than if they did so today. You don’t understand at all what the numbers Fangraphs used are telling you. i agree with Doug here. Fangraphs is taking the average over a decade+ of data. If you are a 50 grade prospect you may be worth a WAR of 35 or 40 over your first 6 years. But you may also be worth 0. But on average you are worth somewhere in between. I agree with you. What we are forgetting is the team can trade all these guys with one yr. left .at the trade deadline for better prospects. Scooter,Gray,Piug,wood etc. etc and have a ton of money to spend next off season. But you still have to find the right guys to fill those holes and if that means more trades where we give up prospects we are digging a deeper hole. Now say they are betting on Trammell and Friedle and or Siri being ready in 2020, that may take care of the outfields holes. Santillan may be ready sometime in 2020 but there will be three holes (assuming Gray) in the rotation. Yes we can trade at deadline if they are having good years but if they are will that translate int the Reds playing well as a team and not wanting to make those trades. Like they did with Cozart and Harvey? There is no guarantees that any of these guys are movable at the deadline. Neither Shed Long (6 years) nor Tyler Stephenson (4 years) have produced great results in MiLB so far. Both have potential to do so. Sonny Gray has 6 years of MLB experience as quality SP. His 2018 results were not good. Even so, his 2018 numbers were better than the average results by Reds SP in 2018. The Reds SP in MiLB are at least a year away from MLB. Put him under Derek Johnson and see what happens. Make the trade for MiLB prospect(s). How does Gray’s value comp to Roark? Seems to me like the deals should be similar with Gray offering slightly more upside. I would say roark is slightly more valuable. I really hope this trade doesn’t happen. Completely agree with this. Roark too has had better success in the past and rates similarly. Who would be a Tanner Rainy equivalent? Lopez or Mella? There has to be something else coming back in this deal. The draft pick concerns me. The Reds have been really good at using their larger signing pools to draft more high-potential players. There’s also an argument to simply drafting more players. I can live with Shed Long (I’m not as optimistic on him as others), but if the pick or another legit prospect is included, there should be more coming back to the Reds than Gray. Track record has been good in the last several trades … staying optimistic. The thing that gets me is the fact that Sonny Gray is a pitcher the Yankees have publicly stated they do not want. If that is the case, the Yankees should pay some team to take him. Why in the world would/should the Reds, or any team, pay anything of value/potential future value for him? The Chapman trade comes to mind. Even though he was the best reliever in baseball, the Reds did not want him. What did they get for him? Nothing of value. Both Chapman and Gray had/have 1 year of club control remaining and there is no doubt Chapman had infinitely more on the field value than Gray. Please Reds, give nothing of value, or your place as Yankee farm team will be further cemented into baseball fabric. My only guess is that there must be other teams with competitive bids for Gray and the Reds must really like what they believe he can do. That said, don’t overpay. Even if T. Stephenson is off the table, Shed Long, the Reds CBA pick, plus another warm body is way too much for Gray alone. Yankees may be considering a push for Muchado. Maybe they want to move on from Didi (who won’t be ready until June & is a FA after this upcoming season). Maybe the Yanks want to include an outfielder (both Gardner & Hicks are FA after 2019 season). There’s gotta be more to this deal than Gray. Great article, Doug, and completely agree. Fangraphs’ surplus valuations certainly help bring objectivity to the conversation. Agree that Long is blocked by Gennett (for a year) and Senzel, but that doesn’t mean he has no value – or even lesser value. Small market teams, in particular, need to get every last dollar of value out of their systems. Trading Long for Gray won’t allow that to happen. Asked another way – would you subtract $28 million in value from the system to go from 80 to 82 or 83 wins? Maybe others disagree with the premise or the math, but that’s what this looks like to me, and my answer is no. Long is the easiest prospect in the Reds top 10 to part with. With that said, he’s still a bit of a high price to play for one season of Gray. Combined with another prospect and a draft pick, I agree, it is too much to pay for just one season of Gray. One thing I don’t understand, why do the Reds seem intent on selling off prospects to get better just for 2019? And this move would only make us marginally better, but certainly not enough to compete for the division. Is Gray going to be a lot better than Mahle in 2019? Why not use those prospects to bring in someone who will be around longer? The other moves have made sense and there’s value to those moves. I’m just not seeing how bringing in Gray for a top 10 prospect + fits into the same category as “good move”. If Long is involved then another player from the Yankees 40 man is coming too. Yankees 40 man is at 41. If Long is still in the talks then a trade of Long, prospect outside of top 10 and a pick for Gray (7.5m) and Kahnle(1.19m, arb eligible through 2021) looks pretty fair to me. The Reds minor league depth at 2nd is loaded with current 2nd baseman with legit limitations and future failed SS with other legit limitations. Also 2nd is looking to be occupied for the near and long term future. Long is no loss. Yankees would be clearing 9 million in payroll. Gray has same upside/risk as Wood and Roark but Kahnle would be a great BP get. If they get Gray which involves also trading a pick of some sort, they might as well go all in and overpay to get Keuchel since he will cost a pick as well. Keuchel, Wood, Castillo, Roark, Gray is certainly a league average rotation which makes the Reds instantly competitive with the current offense. Hide as many of the young SP (Mahle, Romano, Reed) in AAA for as long as they need to truly prove they learned what they need to refine and hope they can fill the rotation spots. I agree with you about Wood being better statistically. I meant they were in the same position in terms of being a FA next year and hoping he performs well enough to either warrant a comp pick next year or to be traded at the deadline. On top of giving up no prospects by signing Keuchel, he would cost a lower pick than the competitive balance pick. I want the Reds to get Gray but I completely agree with the title of this article. Does Gray make the Reds a playoff team? Does he make them a World Series contender? I would say no. So, if the Reds really want him on their team they should wait a year and sign him as a free agent. Next year there will be room in the rotation for him, and they don’t have to give up anything. I really just want this entire trade to die off. If they add Gray, that’s almost certainly it for the rotation. Done. Adding a guy who has been WELL below average two of the last three years for 1 year while giving up quality value. Hard pass. Doug says it’ll be a 36-38 range pick? Taylor Trammell was a #35 pick. There are still really good players available then. Rather than pay Gray $7.5m, why not just offer Gio Gonzalez that money and keep Long and the draft pick? I’ll choose the one who’s better AND doesn’t cost a solid prospect and a high draft pick if you’re not going to add a Kluber/Greinke/Keuchel. A bit of cherry picking here to make your point. You chose three years rather than four because Gray struggled in 16 & 18. Gray’s ERA+ was 146, 120, and 143 in 13, 14, & 15. He was an All Star in 15, and came in third in the Cy Young voting. That said, I’ll admit that I wasn’t enthusiastic about trading for Gray at first. However, the Reds made a strong move to get a top notch pitching coach this offseason. He’s obviously on board with, if not driving, the decision to persue Gray. If it’s Long and not too high of a draft choice, I’m ok with it. Meanwhile, latest rumor is that the Reds May be trying to extend Gray’s contract. Would explain the higher trade return, as well as the delay. Shed Long for Gray…maybe, absolutely nothing more. We have young pitchers to fill the 5th spot (and potential injuries, I’m lookin’ at you Anthony D.), we need to know who can step in next year and I believe one of the youngsters (Mahle, Reed, et al) will come through. Also, the 5th spot does not always come up due to of days; would like to see an opener used some (Stephenson or Lorenzen or Romano or Lopez) with DJ now our pitching coach. We do not have a history of coming out on top in the Yankee trades…ugh, Paul O’Neil why! I can see Gardner included in the deal due to their surplus. He would be a stopgap for one year prior to Trammell’s arrival. If Gray is obtained then I hope he Agee’s to a long term deal immediately. This would be the only way I would give up this much. Do not trade Stephenson! Assume for this discussion of my response that the Reds also sign Pollock, in which they would lose their third highest pick, currently the 2nd round projected at #47. Now if the Reds trade their competitive balance pick to NYY (currently projected #36) AND THEN sign Pollock, that would bump the penalty for Pollock to the 3rd round pick projected at #87 from the 2nd rounder @ #47 . So in essence in that scenario, Reds would be trading away pick #36 BUT NOT LOSING pick #47 if the sign Pollock and instead losing pick #85 (3rd round). That changes the concept of trading that competitive balance pick to the NYY. I think you are absolutley on to something here. Even with Gray in the mix, theres still possibly $12-15 for 19 payroll and a lot of space for a backloaded deal. Could be Keuchel instead of Pollock as you pointed out. Plus one added benefit of stacking the rotation with expiring contracts in 2019 is that Mahle, Reed, and Romano are all still optionable (Stephenson is not). Reds can let them get some more “seasoning” while delaying their free agency clock another year, and give them some spot starts if someone in the rotation goes down. @Andrew: No Lorenzon and others who did well in the bullpen last year? Are you listing only potential Reds starters? Surely, that will not be the Reds opening day pitching staff. The Yankees took the Reds to the cleaners in the Chapman deal and now are trying to do it again. Who does the Reds front office work for the Yankees or the Reds. Not sure I would blame the Yankees for picking up a great pitcher at garage sale prices. As I recall, the Reds FO seemed to have panicked over Chapmans personal behavior and jumped at the first hint of a pile of warm bodies. Nobody twisted their arms to trade Chapman. My guess is that they felt that Chapman was going to eventually be either suspended, in the criminal justice system or become so repellent to Cincinnati Fans he would be a drag on the gate. Can’t really blame them for thinking that; Cincy folks really don’t have the same tolerance for bad behavior as Yankee fans do. As I recall, we had a deal for Chapman with the Dodgers at the time, and they took a hike as well. Yankees still have a 40 man problem. Be interesting to see how they get around that. Sounds like an OK deal to me. Shed Long is kind of overrated here in my opinion. Gotta be another piece from the Yanks. Brett Gardner with Sonny Gray makes it an even deal (depending on Reds 2nd MiL prospect). Hicks makes it + Reds deal. It’s probably just a relief pitcher/prospect. In which case, meh. Shed was quality depth for 2021-2025. Hurts to lose players like that who could help a winning team off the bench. I really don’t like the draft pick scenario taking place. Shed does not profile as a bench piece. He doesn’t have any defensive flexibility whatsoever. Solid point. I like him but even as a starter I don’t think he’s got more than 10 war across 6 years of control in him. Who knows though. You willing to make Shed your starting second baseman this year or next? He’s not a bench piece and he has 2 option years remaining. What would the Reds do with him long term? I can’t help but think there is something we are missing and that is the depth of our 2019 starting rotation. It has to as good as anybody in the Division with Gray added. We may not have a true ace (although I think it’s safe to say tha Castillo wll be sooner rather than later) but we also don’t have a whole bunch of mid rotation guys. Add to that our having a deep pen, (and more depth to come, I bet) and I think pitching staff is about as good as we could expect. FO has done a heckuva job, so far. I’d still like to see a little more defense in CF but now, we have the time and the payroll flexibilty to fix that, if the FO chooses to do so. I may have to get the Early Bird Package this year so I can track more of the ST games. Yes the pitching staff will be deep with a good amount of quality. I like the addition of quality players with expiring contracts. If they have a poor start in the first half, it gives the team the flexibility to make trades at the deadline and maybe acquire a useful future piece or two. On the other hand if they compete and don’t trade at deadline, then there’s also the likelihood of QOs netting sandwich picks in 2020. They’ll be also be able to send a couple guys down due to depth and get another year of control for Mahle or Reed or Romano. And regardless of all of that, they have positioned themselves with a tremendous amount of financial flexibility next offseason. All in all a pretty brilliant strategy to this offseason. This will make 3 starting pitchers with 1 year left. At least 1 of the 3 will get an extension. Could this make DeSclafani available for a trade or in a bigger package? DeSclafani has 2 years left. Maybe to Oakland for a CF? I dunno about all of that. But I’m ok with giving up Long. I would not have been OK with giving up Trammel for Kluber. That’s just my opinion. You know, it’s almost like the Yankees are playing the part of Lucy, and the reds are charley brown. Why are they paying so much? I really dont get this front office. Your 6th and 7th prospects? His stuff looks like it will play in the national league. I get that. Some reason pitchers like him come over and dominate. His road numbers were spectacular so I know he can pitch. But wow. I just don’t know. Much better pitcher than homer so we’ll see. Totally pathetic if the rumored trade is as it is. I thought this had to mean the Yankees were also sending a prospect or nice player to make it worth it. Reds need to clean house with upper management or owner. They will never be good with no consistent direction or plan. If this trade is true as it is, they got ridiculously fleeced. I understand we don’t need Shed Long, but Sonny Gray is not much better than Homer Bailey at this point. Why not trade Long for something of more use or long term use? Sad day in Reds land, especially if they are also giving up a highly valued draft pick. Double fleeced. At least they didn’t trade Senzel and Trammell for Gray. Not that it would surprise me at this point. I think Gray is more valuable than Bailey and at a lot lower price. That said giving up more than Long is way too much. Look at the last several years of Bailey and Gray and tell me that Gray = Bailey. Can future draft picks be traded? The Reds competitive pick next year will be after the 2nd round and thus not as valuable as the one coming up this year. Heyman keeps saying “a draft pick” like there would be a choice. Still seems like a lot for Gray, but judgement should be held off until the trade deal is finalized. It’s a 1st round pick that will be between #36 and #38 this year. Giving up a draft pick at that level is just idiotic for the Reds. I understand how few guys end up making it, but the ones that do are extremely valuable for the small-market teams. Reds can’t afford to be giving up chances like that. Fine with losing Shed, as I don’t think he has a place on the major league team in the next couple of years, but the draft pick is dumb. Felt the same about sending Josiah Gray to Dodgers. All for players on 1 year deals. Yeah all the one year expiring deals are the most confusing for me. It makes us better in 2019 but not good enough to actually compete, it moves potential contributors for short term gain. Just not a sustainable way to do business. I meant could they trade the 2020 pick instead of the 2019 one? Shed for Gray straight up would probably be an okay deal. Giving the draft pick makes no sense to me unless another piece is coming back the Reds’ way. I’ll reserve judgement until the ink is dry. But I f the deal is as has been reported, I don’t like it. It has a low likelihood of winding up a disaster since the odds are against Long and the comp A pick, but it’s still more value than a mid-rotation rental should fetch. Unfortunately they are saying Long, and a draft pick, and possibly one other player going o Yankees. No mention of anything else coming back to Reds. If memory serves we got 3 players for Chapman, albeit it in a fire sale. I’m ok with Long being traded, cause we’re long (sorry) at 2B. Let’s see what the other pieces are. I agree it shouldn’t be a competitive balance pick or any other prospect even sniffing the top 20. We got four “players” for Chapman. Jagiello, Davis, Cotham, and Renda. None of them are in the organization, none of them made a positive impact in any way. I actually have a lot of faith in this management team so if the Gray deal gets done I am good with it. I went back and ride Doug’s write up on Shed and the scouts are not unanimous on his skill set. This is certainly better than signing Dallas for five years. Scouts aren’t unanimous on the skillset of almost anyone. Is anyone else waiting for the reds to spend some of this “record payroll” to sign a free agent rather than giving up prospects for players who only have 1 year of control? I don’t think re-signing/extending them is a different story. Unless that’s a part of the trade (as in you get a 72-hour window to make a deal or the trade falls through), then it’s not something you should count towards in the trade. That said, I have no issue outright with getting guys with 1-year left. I’d be surprised if we extended any of them. It just doesn’t tend to work out that way. Guys go 6-7 years making a fraction of what they could make on the open market, they don’t give up their first opportunity to control their own destiny and set their own price. You aren’t getting a Taylor Trammell this year. The only reason you got Trammell then was because you had a huge pool amount because you had the #2 pick and saved a million bucks on that one alone. Drafting at #7 doesn’t give you that luxury, so the #12 guy in the draft isn’t falling to you and signing in the 30’s like Trammell did. They could easily underslot the first pick a bit still or underslot enough picks in the first 10 rounds to pool enough money for a million or more over the slot amount of the competitive balance pick. It would be easy to do and worth it, but you can’t do it if you don’t have the pick. Horrible decision by the Reds. This team is going no where this year. Ownership and front office are Making moves for one year rental players to win 75-84 games. There is no consistent plan or direction. Bob got tired of losing so he stopped the rebuild too early and now we will suffer for more years and have less upside to have a winning team. This is exactly why poorly managed teams continue to rebuild over and over. This is the wrong year to go all in. The division is the best it’s been in a while. It’s sad we couldn’t hold onto these assets for when we actually need them in 2021-2022. Shed Long alone is an overpay and we really need that comp A pick in the year it’s after the first round instead of the second round. Next thing you know Reds will be out of the playoff hunt by mid season but hold onto these players because they can’t get value back or don’t want to hurt fans feelings and make them think are rebuilding. The Reds can’t be dumb enough to think these moves actually get the Reds into the Wild Card. All for only one year players. The other moves made some sense since mostly salary was eaten up to acquire, or you might get a compensatory pick for Alex Wood. You make a lot of good points, Today is Gray. I think what you’re saying about the owner getting tired of the losing and stopping the rebuild a year too early is exactly what is happening. There has been an obvious mandate to make this 2019 version of the Reds better. But it’s just not time to make these moves where we trade off future for immediate benefit. Joey Votto was a2nd round pick. Odds we pick the next Joey? Extremely slim, but more than 0. The draft is the only chance we have of getting a superstar and we are giving that opportunity away. To further Duke’s point, the Reds have recently drafted Trammell, Downs, Winker, Lorenzen, Blandino, Boxberger, and Frazier in between the 1st and 2nd rounds in the past 12 drafts. That’s a pretty good “hit” mark by the Reds being able to find value in this area of the draft. Not all will work out, but the pick is far from being a throw in. Today is gray. I agree with everything you said.they haven’t stuck with there rebuilding plan. You go for it when your on the verge of contending,not when your a last place club in the toughest division in baseball .you don’t trade draft picks this high when your last in the division within a very small market .the draft is the key to any success this team will have. Bottom line. You either trust the decision making of the current management team or you don’t. They have far more information than we do on both our prospects and on Gray himself. Have they made the right moves so far? Personally, I think so. Doubting their decision making with Gray casts a dark cloud on your view of the current management group. THEY KNOW MORE THAN WE DO. Well said. We also don’t know the terms of a potential trade–just what has been reported. Lastly, we don’t know if this is a last move or just one more in a series of moves. Staying optimistic. Yep, I think Williams has done a good job, todate. 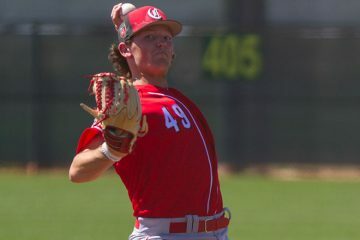 I believe Gray will thrive and be really motivated to perform at a high level under our new pitching coach Johnson his college coach. I believe the Reds will be done after this trade and will possibly use any leftover money for this years payroll budget and with a lot of contracts coming off next year I could see them trying to extend Wood Gray and Puig. The only real question position wise is CF and it’s defense. 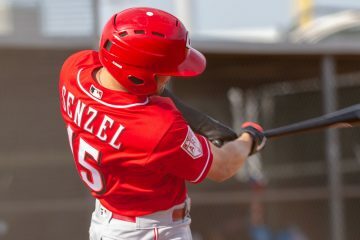 If Senzel earns it in spring training I would say it’s his to lose. If this trade is it for the offseason and the only active minor leaguer is Long you still posess and have Senzel Trammel Siri Friedl Stephenson. There are no shortage of younger pitching options to either fill bullpen, start at AAA or to use in a trade for Inciarte if available or one of SD young outfielders like Margot or Jankowski for CF. What are they going to do with Kemp and Schebler before the season I find very interesting…. interesting times for sure…. What’s interesting to me is that there is a mandate to get the pitching and we’ve sort of done that in a half-measure sort of way. If we acquire Gray, we will have brought in 3 pitchers that didn’t figure into their former teams top 5 starters. That’s not inspiring, or making me want to say “Mission Accomplished” when it comes to getting the pitching. After being connected to Kluber, Bauer, Keuchel etc all offseason the guys we actually did bring in are a let down in comparison. We taken on some guys that didn’t figure into their other teams plans. Yay? The Nationals have Scherzer, Corbin, Strasberg, Sanchez, Ross/Fedde. I’m not saying those guys aren’t better than what we had, just about anyone would have been by default. I’m not saying those guys don’t bring value on their own. I’m just saying, if this is the pitching we got, I’m not ready to do cartwheels about it. Overall feeling underwhelmed. Do it the TB way and start RP, then bring in the starter. I think this works if you do not have a strong 1/2. I think it is weird to compare us to 3 of the biggest spending teams who all should have better pitching staffs (and teams) than the Reds on paper. I don’t care if the other teams didn’t want them. They are still better than what the Reds had and better than what a lot of other teams have. As for giving up Long. I don’t see what the big deal is. Sure, the value may say we are overpaying, but I don’t think we are. I’d much rather have a proven starting pitcher than long. I’ll take Gray and Wood over players who aren’t proven. We all hope that players we draft become as good as Gray and Wood. Then, when we can trade for one, no one wants to do it, because the prospect or draft pick MIGHT be better in 6 years. I’m not sure what payroll has to do with it, all three pitchers are at/under $10m for 2019. That’s relatively cheap for a starting pitcher. Matt Harvey signed for $11m this year. It’s not like these guys were let go because their cost got to high. They were expendable because those teams had better options. Is it weird to compare our rotation with those of playoff contenders? Isn’t the whole point of improving our rotation to put ourselves into playoff contention? Those teams had better options because they have bigger payrolls. They can afford to trade for or sign pretty much anyone they want. Yes, compare our rotation to playoff teams. Also, compare our rotation to last years team. Is our rotation better now? Will having a better rotation help our bullpen, thus making our bullpen better? Does having a better rotation and a better bullpen make us better? I don’t get people seeing the Dodger deal as short-term or not part of a rebuild. That was a great deal for the Reds now & for some time to come. Bailey was going to cost $25MM in 2019 payroll. Kemp ($21.75MM), Puig ($9.7MM), & Wood (about $9MM)cost a total of $40.5MM in 2019 payroll. But the Dodgers also sent $7MM with the deal. So the actual net 2019 payroll cost for the Reds is less than $9MM . That’s for a LHSP who’s either our #1 or #2 sp, plus an above replacement level starting rightfielder and another power hitting outfielder. Also Reds don’t have to pay Bailey $5MM next year either. Plus Reds got Farmer. OK so it cost 2 pretty good prospects in Downs & Gray; we’ll just have to wait & see if the Reds recoup prospects from this deal in trades or through QO next year. But the team is in better shape long term because of that deal. The Roark deal is probably just short term, but there’s something to be said for the Reds having a pitching staff with more veterans than young pitchers early on, so that Johnson can concentrate his efforts on 4 or 5 guys instead of 6-8 . Short term because all the players are on one year deals. The deal helps us in 2019 but not in 2020 and beyond. Now, it could help down the line if we trade those guys or extend qualifying offers. But, like Doug mentioned above in regard to extensions, that’s a future move that shouldn’t be counted within the reaction to this trade. The Dodger trade was a short term move because it’s focus is on improving this year only, and cost good prospects that may have helped in future years. The Reds have saved the $5MM option money they would have had to pay Bailey next year. That represents almost twice the signing bonus money of both Downs & Gray. Prudently spent, that $5MM should contribute more to the Reds 2020 team than either Downs or Gray. Unless of course they’d have been utilized as trade chips. The Reds save $5m in future commitments, sure. But have already spent that money this season. Kemp’s salary (21.8m – $7m cash and 2.5m from Padres = $12.3m) with Puig’s $9.7m and Wood’s (take the low end at $8.7m) comes out to $30.7m. The Reds owed Bailey $28m total. So in the short term they actually took on (at a minimum, assuming they win the ARB case) $7.7m this year to save $5m next year. Saving $5m in a year they are already going to clear significant payroll ($55m+) from the books seems inconsequential in the grand scheme. It’s a professional baseball team. The Reds and probably most of the other ML teams would gladly pay $7.7 MM to have Wood, Puig, & Kemp on their teams ,even for only 1 year. The $5MM is a 2020 consideration, just like prospects Downs & Gray are. Right, it was a good move for 2019. Not arguing that at all. That’s sort of the point I was making by saying the Reds moves have been for the short term. If the Reds simply kept Bailey this year and paid the buy out they still would have freed up $18m in payroll space and still had two good prospects in their system. They were going to have a lot of money coming off regardless. Which is why I consider getting out of the buyout inconsequential to the overall future of the Reds. Hey Nate, maybe the reason we have not signed Dallas yet is because free agents do not choose Cindy. Now if Puig hits 45 HRs in his new home while hitting 290, do you think there is a better chance that he signs a free agent contract with us? Or what about Wood winning 20 games with a 3.3 era. Or Gray all the sudden reverting back and winning 20. These guys are not Jimmy Haynes, and let’s face it, if they were free agents now named Kluber, we could not afford them. I love these deals for 2019 and beyond. I’ll bet that we extend Wood and Puig next year after they have career years with us. Sounds like they are already trying to extend Gray. I do think a lot of FA’s don’t want to come to Cincy. I believe one of the most recent tweets said/implied that as a reason the Reds want to work out an extension prior to trade. I think that’s smart of them to try. The Reds of course could try to trade for a pitcher with more control but maybe they don’t like the asking prices. Either way I’d like to see them bring in guys who’ll be around a bit longer. I see Puig as being more likely than Wood, but wouldn’t think the odds are in favor of either working out an extension prior to the offseason. At that point it would make sense to check out the market. Sorry, Bailey was $23MM in 2019, not $25MM. It’s still a bargain. I get it. You’re not saying it was aliens…but it was aliens. It seems that the same guys who have wanted to trade Gennett for two years now and would have been happy with a bucket of baseballs in return are up in arms about trading a 6-year minor leaguer coming off of a mediocre season in AA. I mean, come on! If this trade goes through, in one offseason, the Reds will have added Wood, Roark, Grey, Puig and Kemp and unloaded the $28 million due Bailey, all of at the price of Jeter Downs, Josiah Gray, Tanner Rainey and Shed Long. How is that not winning? It’s been said numerous times, but just as a reminder, the Reds have made themselves a MUCH better team in 2019, relevant for the first time in what, 5 years? And they’ve done this without taking on any long-term financial commitments or sacrificed ANY of their top-8 or so prospects. None of the guys traded were close to the big leagues, and the two-rated guys were both 2B, and the Reds still have plenty of those. The other two were future relievers. Come on now. We’ll all know by the end of June if the Reds are in the hunt. And if they aren’t, every one of the guys traded for will have real value to a contending team. And if they are in the hunt, it means all or most of the new guys will be having good/great seasons. Maybe you extend them. Maybe you give them a QO, and get a draft pick if they turn it down. Doug has his own way of evaluating a trade. It’s fair and it’s consistent. But mine isn’t the same. I rate ALL of the trades made AND the contemplated trade for Grey as wins for the Reds, for all of the reasons listed above. With the added bonus that there will almost certainly be more to come when/if the players are wearing a different uniform. Just as an additional note: I think it’s fair to assume that the Reds new pitching coach – and Grey’s former college PC – has signed off on the Grey trade, and its highly likely that he’s the one driving the train. Just in terms of increased fan interest & attendance these deals are winners for the Reds now & into the future. Reds fans I know are already anticipating attending games this season, for many the first time in several years. Point of clarification. Shed Long is a top 8 prospect everywhere I’ve seen. On MLB pipeline, on RML, on baseball prospectus, on minor league ball… Quite a few places have him ranked #6. He’s also projected to start at AAA next season. I’d say he qualifies as both a top 8 prospect and close to the ML. The Reds, even with Gray, will be projected to finish 4th in their division. Is that your definition of relevant? It is not mine. If the Reds, with all their additions, are out of the hunt by June are those guys really performing up to the level that we believe will net us a solid return? Those two things seem to contradict each other a little bit. I could care less where they are projected. Projections don’t mean anything. What I care about is the Reds being good. We are better now than we were at this time last year (by a lot if you ask me) and we will still have plenty of good prospects and money to spend. That’s fine. It’s why I asked what his definition of being relevant is. Because I would define relevant as being a playoff contender. We’re not there yet. It’s unlikely we’re going to get there this year. If being better than the worst 4 year stretch in Reds history is good enough for you, then that’s great. It doesn’t move the needle much for me, especially as it hasn’t done anything to effect 2020 and beyond. I’m glad there’s going to be an improved team for 2019. Moreso, I want to see a plan in action that makes us contenders again. I don’t see that yet. Well Nate, that’s why I said “8 or so,” because one, I was too lazy to go look it up, and two, I knew if I said Top-7, someone would say, well, he’s rated 6th at this other website. The Reds have absolutely made themselves relevant. My TV homepage is the MLB Network, and for the first time in several years they are spending quite a bit of time talking about the Reds as anything more than a joke. I don’t care a whole lot about the predictions. I doubt anyone predicted the Brewers to win 95 games or whatever the final total was and then get within a game of the World Series last. The point it, they made some moves and gave themselves a chance. And that’s what the Reds have done. And no, it’s not contradictory at all. Joey Votto was damn near MVP in 2017 and the Reds still lost 95 games. Gennett was great that year, so was Suarez, Schebler and Duvall had nice seasons, Castillo emerged, Iglesias was solid. I’m sure there are more good seasons that I don’t care to go look up. The point is, all of the guys acquired could be good to great and it still may not matter if the defense falls apart, the 2018 Votto is the new normal, Desclafani is hurt again, the bullpen falls apart, injuries. They just may never click. But they’ve given themselves a decent shot without losing anything that can’t be easily replaced, and no long-term financial commitments. As a diehard fan, I’m happy with that….for now. You did say the ANY of their top 8 or so. Even emphasized ANY. They are rumored to be trading a top 8 prospect which makes your statement untrue. But it’s really not worth discussing, I was simply clarifying that they are expected to lose a top 8 prospect. We’ll have to disagree about the relevance part. You say they did enough to give themselves a chance. I don’t think they’ve done enough to actually make a playoff push. Time will tell. You make fair points about the Reds at the deadline. At the same time, a lot would have to go wrong for the Reds to be out of the hunt by June. That’s real early to be definitely out of it. If we’re adding all these pieces that should improve us on paper, and we’re still as bad as we were last year to be out of it by June, chances are one or more of those players aren’t performing up to expectations. Nate, the “or so” part actually matters. As in, I’m not sure exactly where he’s rated. And to be perfectly honest, top-10 seems a little high for a guy who’s been kicking around the minors for 6 years now and coming off of a mediocre AA season. But hey, Doug and others do this for a living so I’ll defer to them on prospect rankings. And if I’m going to be nitpicked about “or so” I guess I need to clarify that I didn’t say out of by June. I said by the END of June. But if you don’t like that, how about end of July? And there’s even the end of August, if they pass through waivers. And finally, if the Reds are competitive and competing through the end of the season but fall short, I’m ok with that. All an exciting 162 season of baseball cost was two 2B ranked behind two other 2B in your system and a couple of RP’s. I’d do that all day, every day. Where did I say it was good enough for me. We can’t go from being horrible to being the best team in baseball in one off season. We can however improve. We can get better this year. Then, we can get better next year. And so on. If you are okay with us being horrible, fine. I am not. I am tired of us being okay with being horrible. Absolutely on the mark. Even if this years moves don’t pay off in a much improved team, as All The Hype said yesterday, we have positioned ourselves in a much better financial position for 2020 and beyond with most of our prospect base intact. Gotta give the FO credit. They have made a number of moves improving the club for both now and the future. Maybe they won’t all work out but its refreshing to see the Reds not trying to use the same old tactics that our previous GM’s used that resulted in a 4 year record of losing. It looks to me like the Reds are competitive again and its been a long time since we have been able to say that. What move have they made to this point that has made them better in the future? Now, we have a much better team for 2019, Future, we have trades for players or with QO have the player or draft picks, and in both case we have a lot of cash available for next year. Sixpack – so nothing tangible yet on players that will make us better in 2020 and beyond? All futures have potential moves to make. The Reds had payroll space opening up and good prospects and tradeable players before the moves they made this year. They’ve taken available payroll space this year and kicked it down the road to next year. Is that a sustainable plan for improving the team in the future? I’ll bite. I think the move of Bailey to the dodgers was good for 19 and beyond. Spot on with that post Tampa Red. You’re right, you said end of June. My bad. I missed that. Not trying to nitpick. I too would enjoy, and hope for a team that hangs around deeper into the summer. 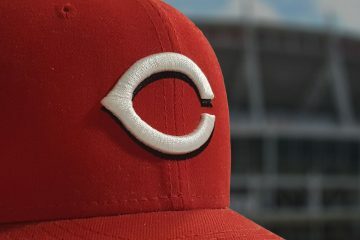 By adding three starting pitchers this winter, assuming Disco and Castillo are in the rotation, and assuming all starting pitchers are healthy, the Reds are stating that Mahle, Romano, Reed, Stephenson, Finnegan, and possibly others with a partial year of experience and improvement with age are not going to be good enough to crack the rotation. I can understand bringing in two new starters, and letting all the others fight it out for the last spot. But unless the 3rd new starter is a real difference maker, I don’t think this trade accomplishes much except to give away Shed Long and the 36th pick in the draft. Do you really think any of those pitchers are better than Gray? I know I don’t. Let them pitch in AAA or out of the bullpen. Gray makes us a better team. A couple weeks ago, the asking price for Sonny Gray was rumored to be Mella, or Gutierrez, or Santillan. Now it’s Long, the Reds CBA pick, & another prospect? Methinks the trade has expanded. It’s entirely understandable that the Yankees won’t reveal what other piece or 2 from their 40 man they may include in the trade. If the trade fell through, they’d possibly have another Sonny Gray situation on their hands. Yankees don’t have many top prospects in their system, and they draft late in the first round. That CBA pick is big to them. Yankees also currently have 8 players that will be FA after 2019 (Tutowitzki, Gregorius, Sabbathia, Gardner, Gray, Betances, Hicks, & Romine). If it’s a straight up deal for Sonny Gray, I’ll be almost as dissappointed in this deal as I am elated about the Dodgers deal. Take a look at who is projected to be a free agent starting pitcher next off-season. It has true aces and tons of 2-5 type pitchers. I’m guessing that guys like Wood, Gray and Roark are getting nervous about it after watching the last two off-seasons. If they pitch well and the Reds’ show themselves to be competitive, at least one of them might be willing to just sign an extension and not expose thselves to what guys have gone through as of late. But if they don’t, we are in line for at least $70 million of payroll spending next off-season. If everyone leaves in free agency, we have enough money to buy upgrades! Question: Who’s the last big FA the Reds signed to a multi-year deal? Answer: Francisco Cordero. 4 years $46m in 2007. The Reds came into the offseason with approximately $30m to spend, and have yet to sign a single FA even with several big names that would help still left on the board. I know everyone likes the financial flexibility that the Reds will have next season. It’s a good thing to have. I just think that we’re setting ourselves up for disappointment in believing that having the resources available means we’ll be a player on the FA market. History, even recently with money to spend, says that we won’t. Well, I think we all can acknowledge the Reds past failures but where is it written we have to repeat them? At the very least, the new FO bunch seems to be trying to avoid the past disappointments and do it with some creative thinking. They are trying to make the Reds a competitor without having a huge bank account and it’s my opinion they should be given credit for trying something creative and not putting all the eggs in one basket. Can anybody think that, if Jocketty were still the GM, we would have made the moves we have made without tearing up our minor league system? Or spending the budget on a single trade or FA signing. At least we are trying to change our losing ways without trying to buy or trade our way into relevance and that, to me, is a refreshing change. I betcha when the scribes start figuring out the winners and losers for this years off season, the Reds are going to be right there around the top. I get what you’re saying, I do, and yes it’s better to try than not. But what has their trying accomplished on the FA market this year? We’ve been connected to Keuchel, Pollock, Happ, Corbin, Grandal, Holland, etc. So far none have signed. The FO was trying to get those guys right? I am a fan of what DW and NK have done to this point. I think they’re smart and (the rumors of a Gray deal notwithstanding) have made smart moves. Being willing to try doesn’t change the fact that FA’s don’t want to come to Cincinnati. I think there has been a fair amount of evidence that the Reds won’t be approaching things like the past. It’s fair to question it,but I think we are seeing a change in approach all the way through the organization. Plus we bought an additional year for our prospects to develop instead of rushing them to the bigs as last years results seemed to show we did. I guess we could have gone ahead and tried a repeat of last years debacle but I fail to see how that would improve the Reds for 2019 or for the out years. Oh well, change will always engender resistance and maybe I’ll be proven wrong to be optimistic but all I’ve ever expected of the Reds is that they be competitive and I think they are going to satisfy my expectations in 2019. And guess what? We still have two months and the financial room to make a few more moves. Nothing about last year showed we rushed our prospects to the majors. Mahle has shown that he deserves a spot at the major league level. Reed showed that he deserves time in the majors. They have payed their dues. Romano is who he is a number 6 type starter. People also have to remember Gray had a 5.23 era as a starter last year. His relief appearances improved his number overall. Also if you look at his numbers he was solid first time through the line up and a complete disaster the second time as a starter 7+ era. Mahle had a 1.59 WHIP. Bailey had a 1.64 WHIP. I really like Mahle, but he didn’t show he deserves a spot. Mahle showed that he deserved a spot in AAA in 2019 to work on a 3rd pitch. Adam Jones isn’t a CF anymore. Why would the Reds pick him up when we already have too many corner OF’ers not he roster as it is, and he isn’t likely to be better than any of them. Eric Davis is around to teach Senzel the ins and outs of CF, no need to pay Jones. A veteran corner OF (Jones) is the VERY LAST thing this team needs for the roster. The Orioles played him out of position for the last 4 years. That doesn’t make him a CF. It looks like the whole thing is contingent on an extension agreed to by Gray. If we get 2-3 years more of Gray that changes things. Not exactly the same old way of doing baseball, is it? I was thinking this morning that my very first Reds game was in Crosley Field and my first Reds hero was Ted K.
I can’t recall when the Reds have ever made this much noise in an off season. Love that they are finding ways to stay prevalent against a tide of increased costs and competition. I’m still ecstatic over the Bailey trade, where they had a dead $28M asset and basically no leverage and yet got 3 solid MLB assets and 1 other decent controllable piece while only adding a few million in payroll, all while not including any top 8 prospects. Reds have been one of the most active, if not THE most active teams this winter, and I’m happy with the moves so far. If the Reds can extend Gray a couple of years then this deal makes a lot more sense. Then the Reds would actually be using prospect capitol to improve for the future. I’m in favor of getting Gray for the asking price if he’s extended. Looks like Reds are trying to extend Gray now as part of the trade. That makes a little more sense about the package the Reds are sending the Yankee’s. What happens if the Reds complete the Gray deal, with the Yankees getting the Reds CBA pick, & then the Reds sign Dallas Keuchel? Would they be giving up their 2nd round pick or their 3rd round pick for the FA signing? Keuchel, Wood, Castillo, Gray & Roark isn’t bad. DeSclafani & Mahle still have 2 options. It would bump the penalty to the 3rd round pick. I said the same thing up above. IF the Reds sign Keuchel or Pollock after this trade, they then get to keep the 2nd round pick. Losing that sandwich pick is not as big an impact IF they sign Keuchel or Pollock. Losing #85 instead of #48 softens the blow. A little in depth stuff. Way back when, the Reds had a plethora of young INF. Pete Rose came up in 1963. Tommy Helms in 1966. The Reds had other good INF prospects in MiLB system. Two were traded for P.
Cookie Rojas was traded in 1962 for P Jim Owens. Rojas went on to 16 year MLB career. Owens did little for the Reds. Cesar Tovar was traded in 1964 for P Gerry Arrigo. Tovar went on to 12 year MLB career. Arrigo had modest success with Reds. Even so, the Reds 2B in 1960s and 1970s were Pete Rose, Tommy Helms, and later Joe Morgan (Helms was part of trade for him). I think Gray can be a solid SP for Reds. Shed Long may go on to good MLB career. As bad as the Robinson trade was, there’s an argument that the Morgan trade was better. Probably not, but people understand both are HOFers, but tend to forget how Morgan was the GOAT at 2b. The difference (for me) is that Reds traded quality players for Morgan. The Orioles only traded one quality player (Pappas) for Robinson. BTW I never knew until recently that Jack Baldschun was in Reds MiLB system before being taken by Phillies in Rule 5 draft. He was solid RP for Phillies in early 1960s but washed up when traded to Reds in 1965. Have always thought Shed was highly overrated. He had descent not overwhelming numbers in Dayton but it was due to a very hot last 5 weeks. He at times make spectacular defensive plays that somebody like Brantley Bell would make in a more routine fashion. His power numbers are pedestrian and strike out numbers are high. Just never saw him as a big league factor. Agree MK. The Dodger trade moved Long from 14 to 12 on my list of Reds prospects. I am sure he will get a cup of coffee in the majors but don’t see him ever being a regular or even a backup. I’ll also agree. I think at this point of his career we should be seeing more production/ less projection. I hate to see any of the players we follow so closely go, but I certainly can’t argue with why the Reds are comfortable moving him. It helps us that free agents are having a hard time getting contracts.guys like Puig,A wood and especially Sonny Gray May be a lot more willing to negotiate now, seeing the flux in free agency. I’d include Scooter in that mix. The writing on the wall says he’s not going to get a QO after this season, or a big contract. 2 years @ $12MM a year is the going rate for 2nd basemen. I doubt it’ll be much higher next year either. Many consider 2B a premium position. I don’t. It’s where wannabe shortstops or 3B that don’t have the arm or defensive prowess end up. There always seems to be a glut of 2B available. Take Shed Long for instance. He’s a 2B because he can’t handle SS or 3B. Due to overabundance, it’s now a position from which more offense is expected. The bar has been raised. Scooter is not worth a big contract due to this. I think Long for Gray is fair mostly because I don’t feel Long is very good. However, I think the Reds have in house options as good as Gray. So why make a trade that adds no value. I personally like my proposal of Reed starting and going 2 and then Lorenzen coming in and going 2-3 innings. Then bring in Mahle and let him know he is going 3 or 4 innings. Go with an 8 man bullpen. With Lorenzen in a set role you can now use him in the OF or to pinch hit in the 80% of the games he does not pitch. Limit Reed to 2 IP so he can pitch between starts. I know that a number of teams are considering changing their opener strategy to allow a 2 inning starter. I think that most of them are like the Giants and are approaching it cautiously perhaps because of the different warmup times and routines between starters and relievers. I think if you are going to do this it might be wise to start it with a minor league team and let that group of pitchers progress with it over a number of seasons. Once you see how it affects a pitchers progression then try it at the ML level. As tender as today’s pitchers elbows and shoulders are I’d really be careful about making a radical change to routines and training without some careful testing and analysis. Just to much money invested in those guys to make any sudden changes. All solid points … I’ll add it takes way more than 5 starters to make it through the season. I don’t necessarily see this as an either/or proposition. I feel that there is way more upside in Reed and Mahle this year instead of Gray. Gray has the the Vibe of Milton, Bailey extension, Jason Marquis or a Josh Fogg at this point in his career. I have heard the Yankees signing of Ottavino means they are looking to unload Holder. On the surface Holder looks good. But if you dig deeper maybe not so much. ERA: 3.14, FIP 3.04 WHIP 1.09. All three good. But…. xFIP 4.63 is not good. 29.3 GB% is not good. I can see why the Yankees want to sell high.